Haverim means ‘friends who study together‘. It provides a unique way to understand and share scripture. The method is based on a Biblical system and teaches people how to study not simply what to study. Haverim Devotions™ approaches the Bible in a unique way and appeals to all personality types. It is simple and easy for anyone to adopt and is most enjoyed in a small group setting. Haverim is specifically designed as a catalyst for our alternative approach to study – ‘beyond curriculum to culture‘. In it, a teacher’s role is not to create a curriculum whereby others fill in the gaps, but instead respond to the needs and questions of those they are teaching. Haverim teaches us how to think not what to think. People must first look at the intended meaning of a passage. They use study tools to discover the context and history of a chapter, parable or verse. During this time, they seek to understand the background and culture this text was written in and share what they discovered to be the point of this passage. This level crucially prevents misinterpretation. At the second level, people connect the passage to other sections of scripture, traditions or customs that are hinted at. They look for any overarching principle or theme that can be found when connecting those dots. Once discovering the principle, it can be seen in other parts of the Bible and applied to life. In this unusual level of study, people place themselves in the passage of scripture. Using an ancient dynamic, they collaborate and seek to understand the purpose of God in the passage. As each person’s interpreted motivation is shared, they begin to discover something about themselves and what motivates them or what motivates God. During this section, time is created to allow God’s Word to permeate deeper into an individual. Time is given for creative contemplation to practically apply the words that have been studied and give the opportunity for the group to be used by God and speak into each others lives. Did you realize that Jesus’ style of teaching was fundamentally different from contemporary Christian Bible study? Yet the means by which Jesus understood and unpacked the scriptures are completely relevant today. More than that, His rabbinical style of communication, comprised of four levels, is essential for engaging believers and non-believers alike. 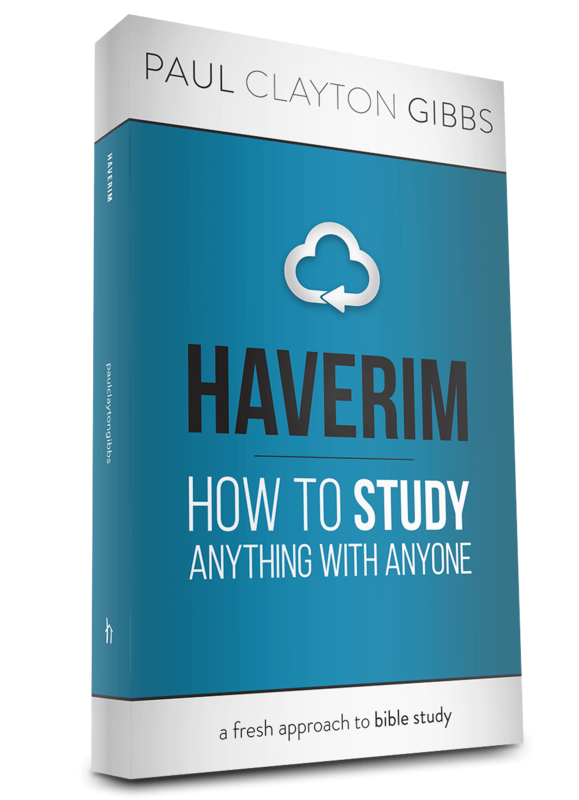 By transferring the four lost methods of study into a modern format, Pais Global Director Paul Gibbs developed what has become known as Haverim Devotions™. This fresh approach to the ancient way is now occurring in small groups all around the world, connecting people to God through His Word . . . and helping them connect others. Delving into the why, what, and how of each level, this book equips you to launch your own group study using Haverim Devotions™. How to study anything with anyone! Using an ancient method, Paul Clayton Gibbs explains how friends can study together, looking at passages in 4 unique ways for every personality type.